Accurate vehicle detection or classification under rough environmental conditions is a necessity at toll stations. According to IBTTA’s 2015 Report on Tolling in the United States, 35 US states and territories had at least one tolled highway, bridge, or tunnel—translating to nearly 6,000 miles of US toll roads and generating $13 billion in revenue to support the US highway infrastructure. While some toll roads have converted to Lidar-based electronic toll collection (ETC) or open road tolling systems that do not require vehicles to stop at a toll plaza, many tollways still rely on traditional toll booths. In these applications, automation light grids are used for vehicle separation in order to start and stop the transaction (paying the toll). Senders and receivers are set up, for example, next to the single lane for toll stations or next to doors, stretching a dense curtain of parallel individual beams across the area to be detected. When a vehicle enters into the detection area, data from each beam is transmitted via a serial interface or over Ethernet. From this data, the vehicle class, front / rear end, and the number of axles can be derived easily with high accuracy. Below are 5 important considerations to keep in mind when choosing an automation light grid for your tolling application. Light grids at tolling booths must also contend with various environmental disturbances including birds, rocks, or dirt disrupting the beams. A device with the ability to place timer delays on outputs and/or the ability to set a minimum number of blocked beams to trigger the output can help ensure reliable outputs. In addition, a device that allows for automatic blanking of beams is imperative for maintaining accurate detection if one beam is blocked for an extended period of time. For example, if gum or dirt is sticking to one part of the grid, automatic blanking means that the device would recognize the permanent disruption and automatically ignore that beam in future outputs. 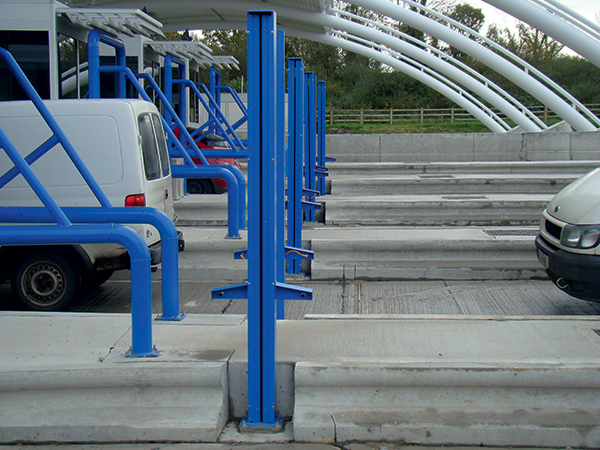 While light grids at toll booths are housed in special enclosures to protect them from damage in case of vehicle collision, it is still important for the device itself to be reliable even in adverse environmental conditions. Devices with IP 67 rated housing operate reliably even in dust or heavy rain. Customized beam spacing can help improve the accuracy of the light grid. For example, you might set wide beam spacing at the bottom of the unit, where the light grid would detect the tires, then tighter resolution around the area where they would detect trailer hitches, and again wide spacing at the top of the car. Fast response time ensures accurate measurement of moving vehicles. A reliable tolling system depends on light grids that will not miss a vehicle or mistake a truck driving through the tollway too quickly for a car. SICK’s MLG light grid can accurately account for each vehicle thanks to its fast response time. 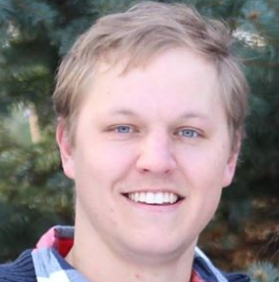 Jake has worked as an application engineer and product specialist with presence detection and measurement sensors. Over the past 2 years Jake has focused on new application definitions around SICK’s latest light grid technology advancements. Finding new and unique ways to solve a customer need is the best part of his job. Outside of work Jake enjoys coaching youth basketball, keeping aquariums, and doing home improvement projects with his wife.